Daniel Sullivan’s practice focuses on complex commercial litigation, appeals, and transnational litigation. Daniel was named a New York Law Journal Rising Star in 2015 and named to Benchmark Litigation’s 40 & Under Hot List in 2017 and 2018. Before joining Holwell Shuster & Goldberg in April of 2014, Daniel was a litigation associate in the New York office of Gibson, Dunn & Crutcher LLP. Before entering private practice in November of 2010, Daniel served as a law clerk to the Honorable Antonin Scalia of the United States Supreme Court during October Term 2009, and before that to the Honorable Diarmuid F. O’Scannlain of the United States Court of Appeals for the Ninth Circuit during the 2008-2009 term. A primary insurance carrier and an excess carrier in a successful appeal in New York’s First Department in an insurance coverage dispute arising out of the SEC's late-trading and market-timing investigation of Bear Stearns in the mid-2000s. HSG obtained a reversal of the trial court's grant of summary judgment to the successors of Bear Sterns, convincing the Appellate Division to hold that, as a matter of law, $140 million in SEC disgorgement imposed on Bear Sterns was an uninsured penalty. Caterpillar, Inc., in a successful appeal in New York's First Department from an adverse verdict in asbestos litigation. Vacating the verdict and dismissing the complaint against Catepillar, the First Department refined the law of specific causation in asbestos cases, holding that it is insufficient to measure exposure to the products of a group of defendants because of the degree of exposure must be proven from the defendant's products specifically. Auto parts manufacturer Hilite International in a successful post-trial appeal in the Federal Circuit of patent claims involving variable valve timing in automobile cam phasers. Obtained reversal of trial judgment against client on the grounds that the patent at issue was invalid. Wife in New York 's First Department in appeal from high-profile, high-dollar divorce trial involving valuation and disposition of art collection worth hundreds of millions of dollars. Obtained stay pending appeal of portion of adverse trial judgment directing sale of art collection. Appeal is pending. Senator Ted Cruz in ballot eligibility challenges in New York in connection with the 2016 Republican Presidential Primary. 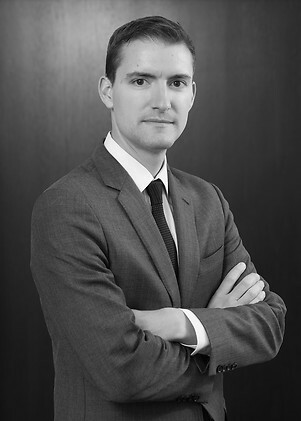 Daniel successfully defended dismissal of a challenge on appeal in New York State court and, subsequently, obtained dismissal of a second challenge and successfully defended that dismissal on appeal. Daniel represented the Senator in his individual capacity and not on behalf of HSG. Westchester County in proceedings in the Second Circuit and S.D.N.Y. regarding legal and constitutional issues arising out of the settlement of a qui tam action against the County. Client in a successful petition for certiorari before the Georgia Supreme Court, involving interpretation of recent U.S. Supreme Court class action precedents, and in successful merits briefing. Individual in appeal in the Second Circuit from insider-trading conviction arising out of alleged tipping of Medicare reimbursement rules. Appeal is pending. Trustees in RMBS putback litigation in New York state and federal court, handling motion practice, document and deposition discovery, expert discovery, trial preparation, and appellate briefing. Four federal and two state-court cases Daniel was involved in settled favorably in the middle of discovery. In another federal-court case in which Daniel was involved, HSG was hired after an adverse pre-trial ruling; HSG shifted strategy in further pre-trial motions and engaged in trial preparation, and the case settled favorably on the eve of trial. Former directors and an officer of a publicly traded technology services company in a putative securities fraud class action. After HSG filed a motion to dismiss, Plaintiffs dropped Securities Exchange Act claims against our clients and, after HSG filed a motion to dismiss an amended complaint, Plaintiffs dropped all claims against our clients. In a related proceeding in the company’s bankruptcy case, in which breach-of-fiduciary-duty claims were alleged against the former directors, the bankruptcy court granted HSG’s motion to dismiss. Governor Andrew Cuomo in constitutional challenge, launched at the end of 2018, to New York statute establishing a commission on prosecutorial misconduct. A Belgian flooring company and its U.S. affiliate sued for patent infringement. HSG moved to dismiss the complaint or stay the litigation pending a related arbitral proceeding in Switzerland regarding the validity of a sublicense, which had been granted to HSG’s clients, to use the patents-in-suit. The district court granted HSG’s motion to stay and the plaintiff eventually agreed to dismiss the action. Dow Jones in putative consumer class action alleging various common law and New York statutory claims, successfully moving for summary judgment and defending victory on appeal. Employer in employment arbitrations before the Financial Industry Regulatory Authority and JAMS. Clients in a wide variety of industries and circumstances regarding appellate, constitutional, and other legal issues arising in potential or pending state and federal litigation. Recent examples include advising a State government considering potential challenges to prospective legislation, assisting a hedge fund regarding Supreme Court litigation related to the fund’s interests, evaluating RICO claims arising out of the Flint water crisis, and advising a real estate developer regarding the constitutionality of state taxation laws. Pro bono clients in immigration appeals. For example, Daniel represented a legal permanent resident under an order of removal in a Ninth Circuit appeal raising novel issues of the retroactive application of statutes. After Daniel filed his opening brief, the Government agreed to a favorable remand. Daniel also represented a legal permanent resident in an Eleventh Circuit appeal raising whether the BIA must defer to a state-court clarification of a prior sentencing record. Once again, after Daniel filed his opening brief, the Government agreed to a favorable remand. Daniel then successfully moved to dismiss the removal proceeding before the BIA. Numerous amici curiae in the Supreme Court and other appellate courts in high-profile matters, including, recently, European data-protection and privacy scholars in United States v. Microsoft Corp. (S.Ct. ), U.S. Senators Patty Murray, Jack Reed, and Sherrod Brown in Encino Motorcars, LLC v. Navarro (S.Ct. ), and legal and accounting professionals in the British Virgin Islands in an appeal raising extraterritoriality and comity issues arising from the Madoff bankruptcy proceeding (2d Cir. ).